Open Saturday and Sunday 7/9 & 7/10 2 - 5 pm. 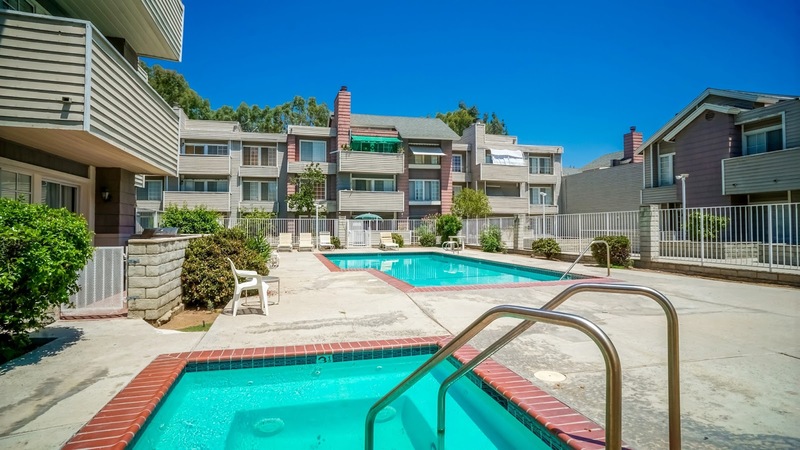 Attractive Remodeled Single Level Light and Bright 2 Bedroom, 2 Bath Condo. Stunning Newer Kitchen with White Wood Cabinetry with Self-Closing Drawers and Soft Closing Doors, Granite Countertops, Whirlpool® Stainless Appliances including Side by Side Refrigerator Freezer with Ice and Water in the Door, and Eat-Up Granite Bar. Open Floor Plan with Beautiful Newer Laminate Floors Throughout Living Areas and Bedrooms. Living Room with Cozy Fireplace and with Access to Large Balcony - Perfect for Entertaining. Master Suite with Two Closets and Remodeled Bath with Spa Like Tiled Shower with Stone Accents and Frameless Glass Doors. Good Sized Secondary Bedroom. Remodeled Modern Hallway Full Bath with Tub/Shower Combination with Curved Frameless Glass Enclosure. Laundry Room with Storage Cabinetry and Room for Side by Side Washer and Dryer. Unit has Fresh Paint and Newer Window Treatments, Only One Common Wall and Comes with 2 Covered Tandem Parking Spaces. Close to Shopping and Restaurants. Complex has Beautiful Pool and Spa.